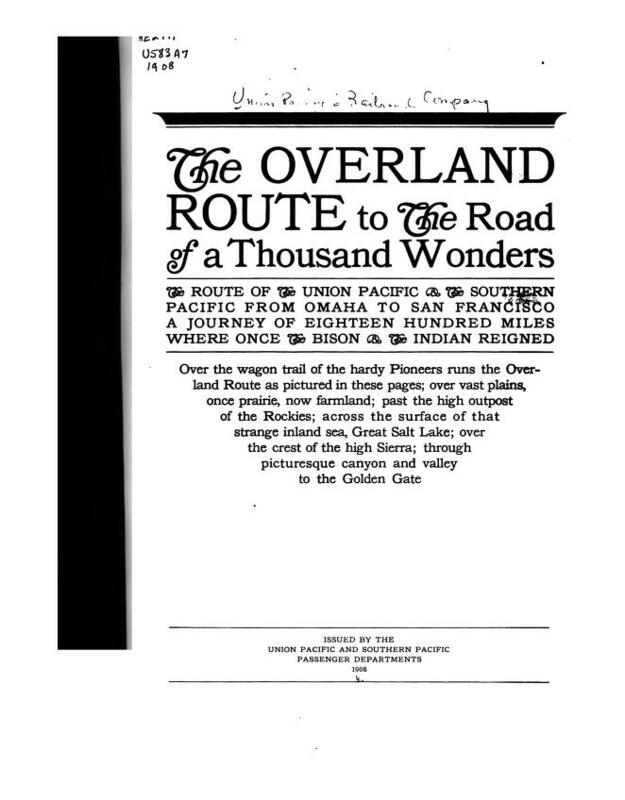 The letters from 1911 and 1912 amount to four total. 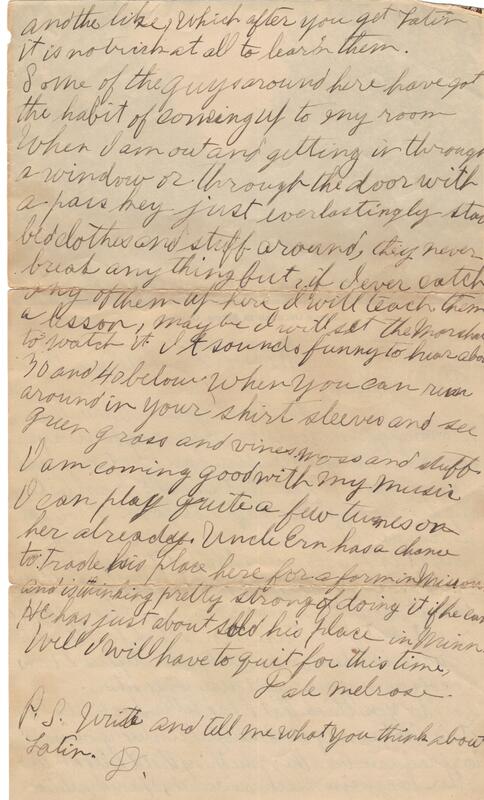 The bulk of Dale’s letters were written from 1915-1917. 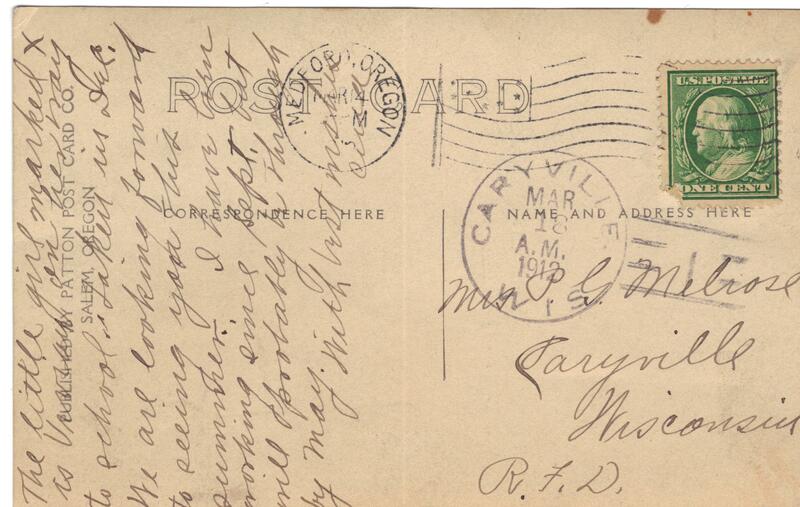 All I have from 1912 are a letter and a postcard and the postcard isn’t even from Dale. There’s nothing from 1913, and only one letter from 1914. I just got your letter this morning and will answer right away, though I suppose you have got my card long ago. I have got exempt from tests again so I get two half holidays. I bought a raincoat the other day from a fellow here, it is a good one and I got it cheap it only cost $(? ).50 and he had to pay ten dollars in Portland for it about two months ago. The botany is all right but I cant use it in school for the state course is taken in an all together different books and of course you can’t use any other. Say do you think that I had better drop Latin as it is not a required subject unless you intend to graduate and the only thing that it helps is to learn other languages such as French, Spanish, Italian and the like, which after you get Latin it is no trick at all to learn them. I do believe he really means botany in this letter, unlike the previous letter. I think the cost of the raincoat was $5.50, but it’s hard to make out. 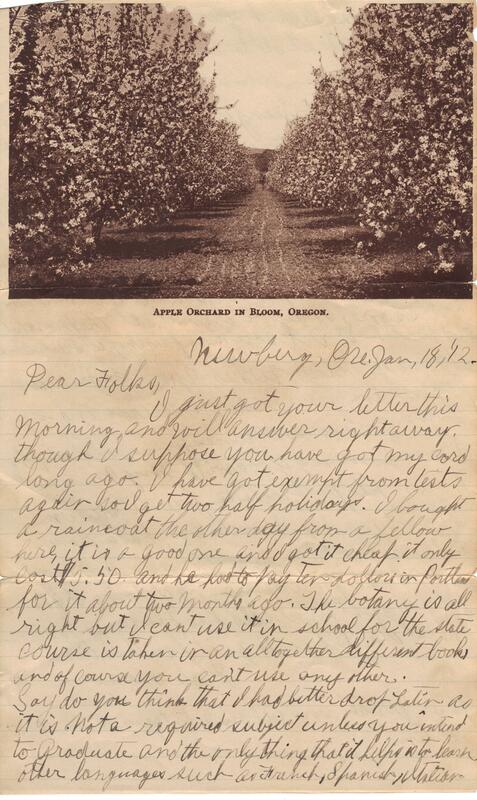 I especially love his comparison of winter in Newberg vs. winter on the Melrose homestead in western Wisconsin! No. 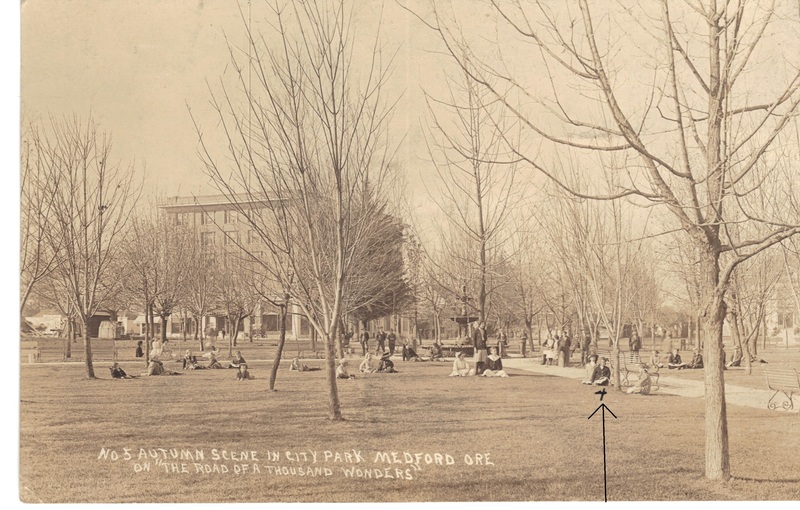 5 AUTUMN SCENE IN CITY PARK MEDFORD ORE.
Postmarked: Mar. 14, 1912, Medford, Oregon & Mar. 18, 1912 in Caryville, Wis. I do know that “Uncle Ern” was Mary Brown Melrose’s older brother, Ernest Linwood Brown.